Dr. Paul Weibel is excited to have the opportunity to make a difference in the lives of people in the community in which he grew up. He is committed to using and expanding his knowledge of orthodontics to treat each patient who walks through our doors like family. For Dr. Weibel, orthodontics is the perfect blend of art and science, coming together to create beautiful, lasting smiles. Understanding the need to stay current with all developments in orthodontic care, Dr. Weibel looks forward to attending continuing education courses throughout the year at the local, regional, and national levels. 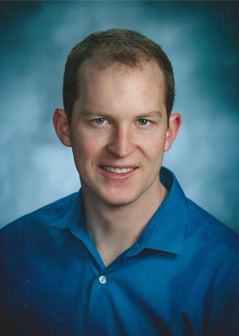 Dr. Weibel grew up in Landisville, Pennsylvania, and currently resides in Lancaster. His free time is spent hiking, jogging, playing board games, reading, and painting.